Join us for a fun family weekend at Historic Reelfoot Lake, TN. to explore & look for Eagles! There will be activities for the children & adults. Everyone will enjoy the live birds of prey programs brought to us by the Stokes’ with Save our American raptors/Wings to Soar program, Bob Tarter with NHECM & his amazing & educational animal program, painting a ceramic eagle to take home, Eagle tours, photo & art contests (we love to have the kids submit their work), photography tours, slide show about the history of Reelfoot Lake & so much more. 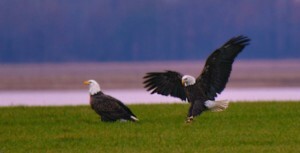 Reservations recommended for Eagle Tours $10 – Reserve on Reelfoot Lake State Park website below or call 731-253-9652. Free Tours with USFW call 731-538-2481. Visit our website for a Schedule of Events & Lodging options.